Its normal that Nigerian citizens will love to travel to the UK for various reasons. So when you Google how much is UK visa fee in Nigeria, you will be confused as there are various conflicting information on the matter. Apart from the process of getting the UK visa on the same day they apply for it, travelling to the United Kingdom has become a lot easier for Nigerian citizens since the announcement by the current British High Commissioner, Mr. Paul Arkwright. While this might surprise you, people with any type of visa application issues according to the embassy would now have to wait for 5 to 15 days while those who are lucky enough to apply for UK visa Nigeria, get theirs on the same day without the hassles of processing travel documents. So what is price for UK visa fee in Nigeria today? The cost of UK visa fees for different visitors such as students, businessmen, married couples etc, all depends on type of visa and the duration you want to stay in the United Kingdom. The embassy stated that Nigerians will have to pay a non-refundable fee for the visa whether or not it is granted. While for ten years in the UK goes for $1023. Although, there are various reasons to travel for example, if you have to go to England on business or as an academic visitor, the fee is $231 for one year. For diplomatic duty as an ambassador, you would have to pay an amount of $118 for same one year. Parents who wish to visit their children will pay $551 for twelve months as they are considered special visitors. If it is medical related application or PLAB/OSCE test, the visa fee amount is still $118 also. All depends on duration of your stay in the United Kingdom. For students wanting to be in the UK for 6 months only, you will pay a visa fee of $121. It is only those who wish to study the English Language that will pay $231 as visa fee. If you are among those who want to travel to another different country but have to make a stop at the UK, you will pay $80 for that. For children, the amount you pay is the same as the visitors’ prices. Well, there are those who Nigerian citizens who are not allowed to pay for visa to the UK. These ones are officially invited by the Government of the UK on diplomatic basis. They are the Diplomatic Passport Holders. As you can see that the various visa fees are currently in US dollars. We advice that you visit your bank to find out how much the price will be in Naira as these prices are affected with the current dollar exchange rate. Although you can apply for the UK visa in Lagos at Victoria Island or even at Ikeja, bear in mind that these UK visa fees is dynamic and can change at any point in time. 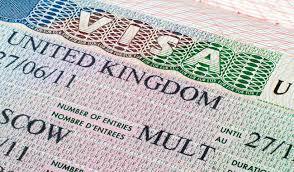 We will try our best to keep this page updated on the latest cost of visa for UK in Nigeria.